I woke up yesterday morning with cooking on my mind. My kiddos are on spring break, 2 of them are with their grandparents in Arkansas, one is up his daddy’s behind, and the other (my mama’s girl) has been chilling with mama. So, frankly, I felt a little adrift. Regardless of how many kids you have, it seems like when one or two are away, things just aren’t the same. I definitely felt their absence, though it has been nice hanging with my sweet girl and having some one on one time with her. Anyway, I decided that I was going to cook up some stuff and this lemon loaf was one of the recipes on Pinterest that had caught my eye. But I must say, it was originally called “white chocolate lemon bread” and frankly, it looked so yummy but the name threw me off. Yes, I will admit I am not a white chocolate fan. Mama likes her dark chocolate, that is all I am saying. Always have. And white chocolate? Gag. No really, gag. But I took a risk. I love, love, love the lemon loaf at Starbucks. I don’t love, however, paying over 2 bucks a pop for a slice. I mean, really? I truly love lemon and this looked so easy, I figured what did I have to lose anyway? Nothing. So I went for it. I am so very glad I did. There is nothing white chocolate to it and this loaf tastes so close to Starbucks’ lemon loaf that it is uncanny. Taking the risk (though with this the risk was small) was well worth it. Don’t you love when things work out that way? 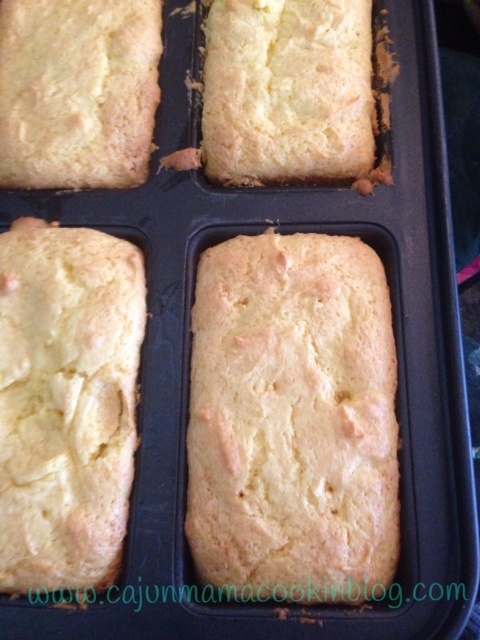 I renamed it luscious lemon loaf because even though there is white chocolate pudding mix, you cannot taste it. This is just pure lemon delight. And the glaze that you pour over it is simply fantabulous. This recipe truly could not be easier and makes two loaves. So, theoretically you can keep one and give one away. Good luck with that. This stuff is so good, you might consider hiding both loaves under your shirt and running like the wind. And keeping it all for yourself. If your family does not beat you to the punch. It is that good. 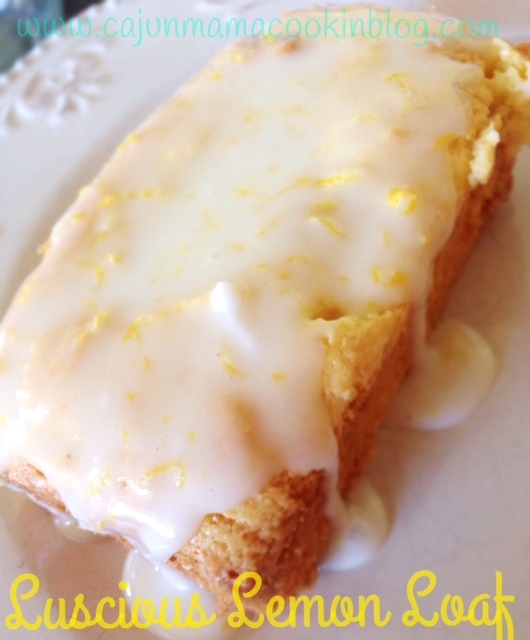 You can see the original recipe here http://liluna.com/white-chocolate-lemon-bread. I made it just like the recipe suggested this time, but next time I will replace the oil with applesauce and the sour cream with Greek yogurt. I do the applesauce thing in most of my muffin recipes and it works great. We get a little fruit boost and I can enjoy a slice or um…two…with less guilt. 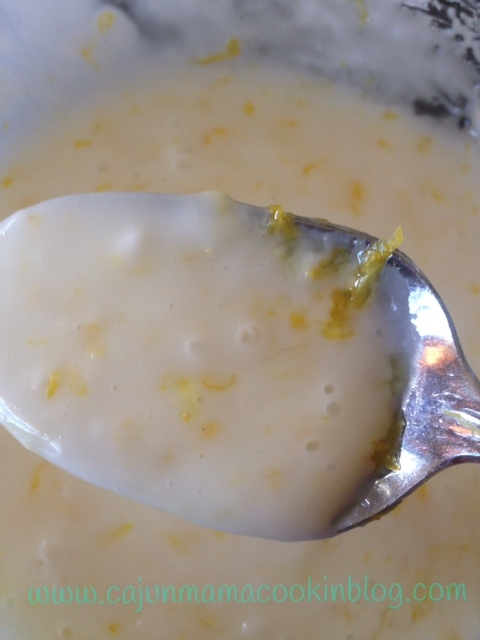 For the glaze: Mix 1 1/2 cups powdered sugar, juice and zest from one lemon. Add more lemon juice if it was too thick. I used a big lemon and had plenty. Mix cake mix, pudding mix, oil and eggs in a bowl with a beater (or your standing mixer) until well combined. 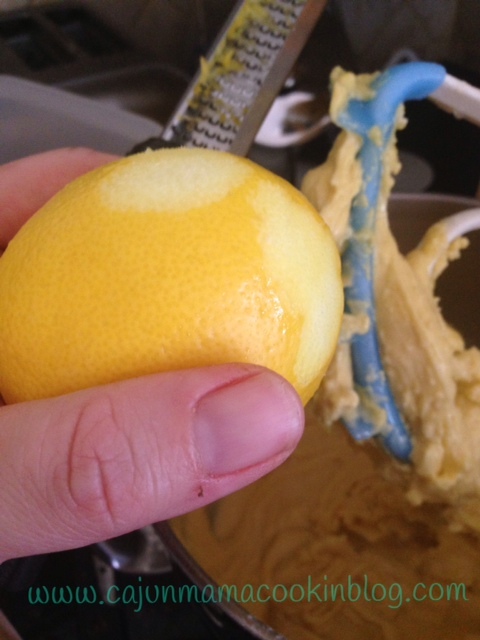 Now, add sour cream, lemon juice and lemon zest. Use a spoon to mix at this point. Pour batter into 2 greased loaf pans. I used a regular size loaf pan and then a pan with 4 little mini loaves. They were the cutest little things!! Bake at 350 degrees for 40-45 minutes. If you go the mini loaf route, bake for about 15 minutes. Let them cool completely. I removed mine from the loaf pans at this point and set them on a baking sheet or plate. Now, poke holes in the loaves and drizzle the glaze all over them. Get ready to curse me and thank me all at once. You will want to do both. It’s ok. I still love ya.